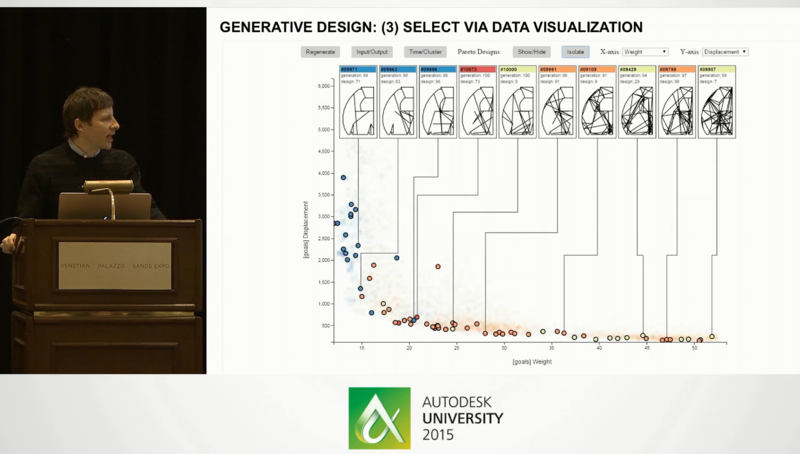 We held another great Design Computation Symposium this year at AU 2015, focusing on how generative design techniques are being used in practice. 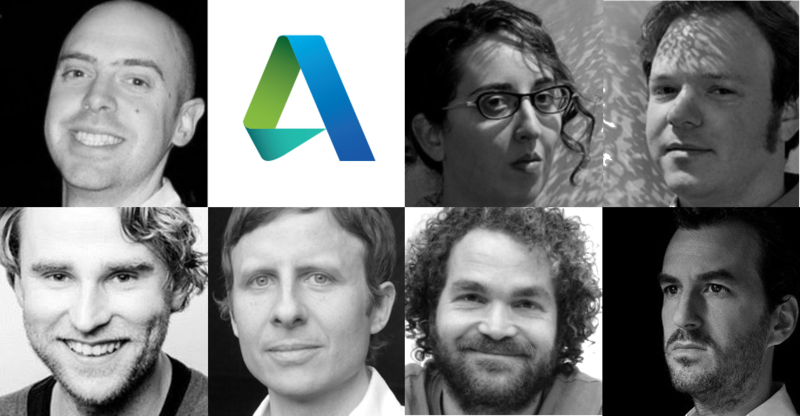 We heard from industry-leading designers who apply generative design and data-driven design concepts in their daily work. These leaders are interconnecting design, optimization and fabrication to support new ways of working. 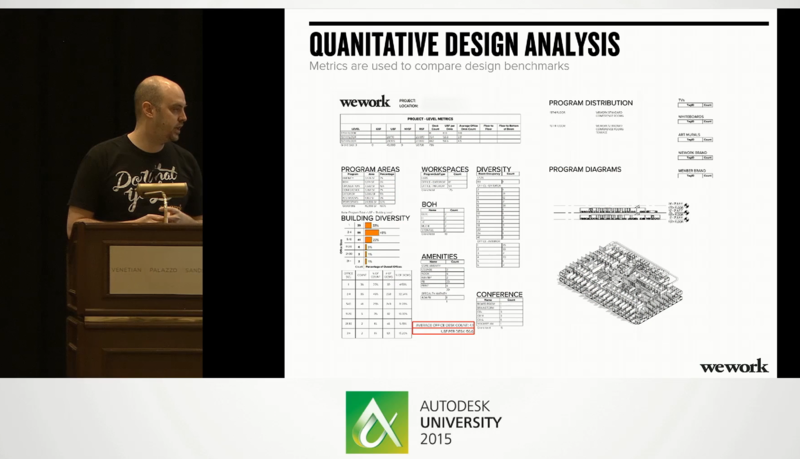 Dave Fano of WeWork (previously of CASE) gave us his view of where the AEC industry is today in its application of BIM, computational and data-driven design. Dave was the CEO of CASE over the past 7 years and now is part of WeWork, giving him a unique point of view on the AEC industry’s current state and future possibilities. Jessica Rosenkrantz and Jesse Louis-Rosenberg of Nervous System discussed the design philosophy and fabrication process used to create their amazing work. Nervous System is a generative design studio that works at the intersection of science, art, and technology. Drawing inspiration from natural phenomena, they create computer simulations to generate designs and use digital fabrication to realize products. Bastian Schaefer from Airbus and David Benjamin from The Living gave deeper insights into how generative design, optimization and new fabrication techniques are being used today in the aerospace industry. They discussed their work on new aircraft designs and the Bionic Partition project, a new aircraft part designed via a novel optimization process and 3d printed directly in metal. 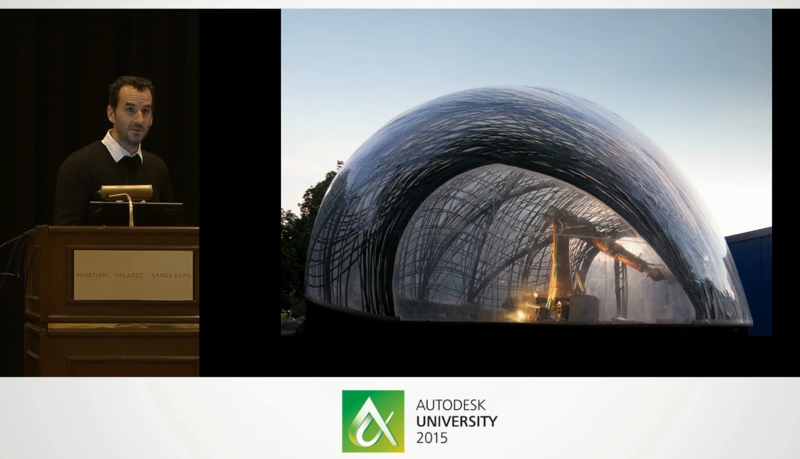 Jeff Kowalski had discussed this project in the AU 2015 mainstage presentation, this talk goes into much more detail. 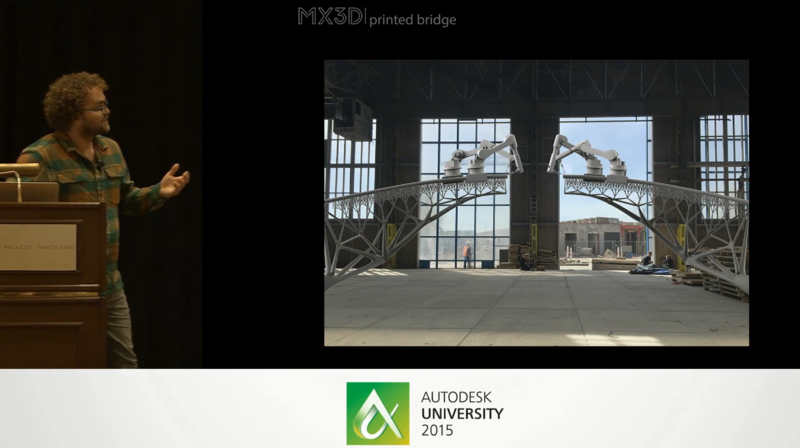 Gijs Van Der Velden of MX3D spoke about the exciting design, optimization and robotic fabrication processes they are creating in order to robotically construct a bridge in Amsterdam. 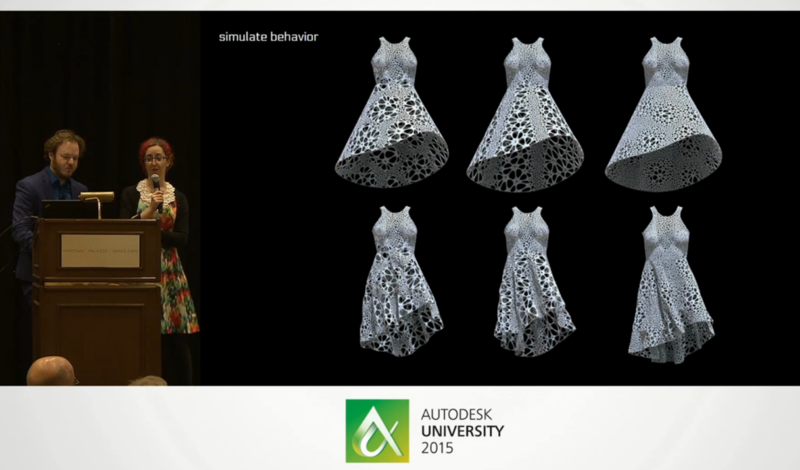 MX3D is using Dreamcatcher to help optimize the design using generative design principles. They are using computational design to drive manufacturing robots in novel ways. Achim Menges was our keynote speaker and presented the stunning work his group is creating at the Institute for Computational Design in Stuttgart Germany using a variety of materials and robotic fabrication techniques. Achim’s practice and research focuses on the intersection of design computation, biomimetic engineering and computer aided manufacturing that enables a highly articulated, performative built environment. A sincere thank you to the amazing presenters we had this year! The Design Computation Symposium this year was a great venue to demonstrate how design, optimization and fabrication are becoming intimately intertwined. We have seen new design concepts developed than can only be realized using new fabrication techniques and materials. The new fabrication techniques developed to realize these designs also support tighter fidelity in the placement of material. This allows optimization techniques to successfully be utilized to create more efficient structures.